do not touch them they will bite, originally uploaded by Mister Wind-Up Bird. Well, it’s been a fun few weeks, but I’m back. The lovely Janelle journied across the Pacific for a visit, and while I still had to work a bit, we did find time to visit Salt Spring Island, where we stayed in apparent close proximity to child-devouring mink. Janelle also got to drive on the wrong side of the road all over Vancouver, Victoria and Salt Spring — at some point, I’m really going to have to break down and re-acquire my driver’s licence. We took the trip from Salt Spring to Victoria to do a little orca watching, which was a fantastic experience. Just zipping over the waves in a zodiac is fun (Flipper-style fun for Janelle, Danger Bay-style for me) and at the end: orcas! We also found time to eat and drink our way up and down Main Street. There is an insane amount of really good, cheap eats here — bahn mi, beef noodles, katsu-don, knish, burgers — washed down with beer and vintage cocktails. At some point, I’m really going to have to put together my long-awaited Main Street dining guide. But for now, it’s back to work. I’m still part-time at Worio (until September), and I have some well-past-due thesis writing to do this weekend. 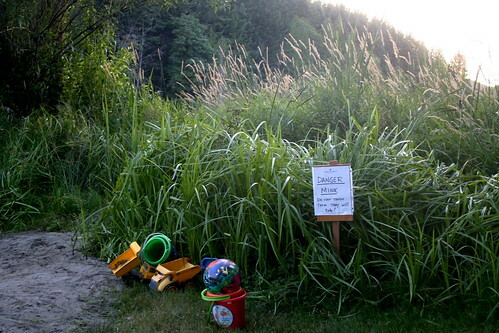 It’s been crazy-hot in Vancouver, but seems to be settling into merely hot, so with any luck, I’ll be able to get some work done at home and finally be able to sleep properly tonight. 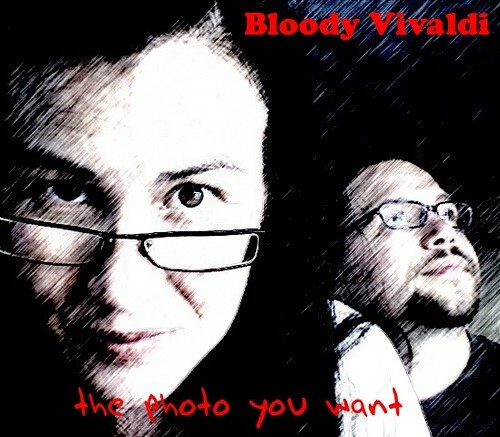 Bloody Vivaldi, originally uploaded by Mister Wind-Up Bird. Janelle + Eric + photo booth + the random album game = the best new album you’ve never heard.